If 20 % of your premium customers contribute 80% of your business, the Woodbury ™ Golf Pouch and Scorecard Set is meant just for them. Present them to all your premium customers with your logo neatly imprinted and watch them smile back with gratitude for this souvenir is a classic. If 20 % of your premium customers contribute 80% of your business, the Woodbury ™ Golf Pouch and Scorecard Set is meant just for them. Present them to all your premium customers with your logo neatly imprinted and watch them smile back with gratitude for this souvenir is a classic. 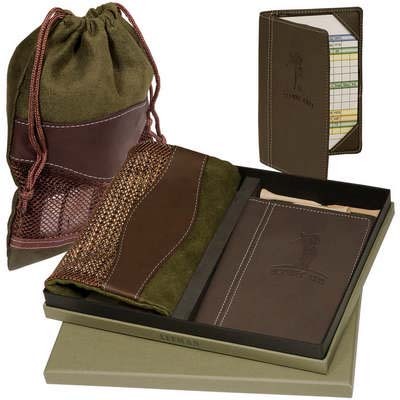 It very innovatively combines the Woodbury Golf Scorecard Holder and the Woodbury Valuables Pouch to help the user on the grass. The score card holder is made from durahide leather and the pouch features an ultra suede pull cord closure, durahide trim and nylon mesh accents for elegance and style. 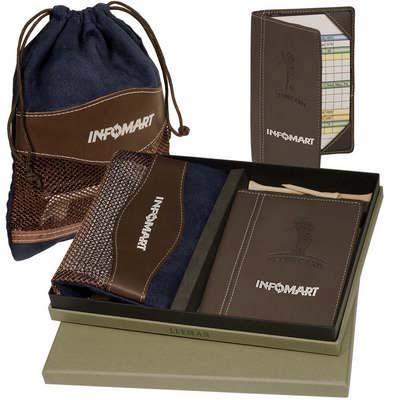 The pouch and scorecard Set also Includes wood tees and a textured green gift box. 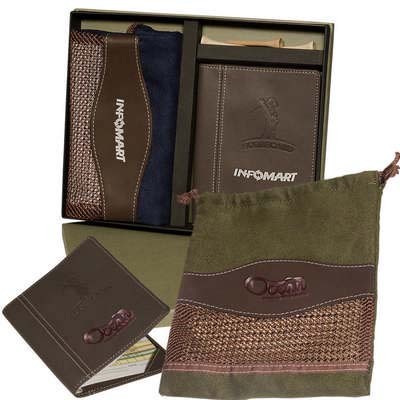 The embossing on scorecard holder and pouch is absolutely free and the box can also be imprinted with your logo if required.